With autumn upon us, its time that event planners start arranging for their upcoming corporate event, reception, and holiday parties. Choosing the right location, music and vendors contribute to the success of the evening and everyone having a great time. As a special event photographer in NYC for over 20 years, I’ve covered dozens of non-profit gala receptions, corporate meetings, Christmas holiday parties in the tri-state area. The most important advice I offer clients is to make a list of special photos of the VIPs and special guests so I’m sure to not miss a photo. Feel free to reach out to us anytime if we can be of help and thanks! Photographer at NYC Pride Event Enjoyed Rainbows! 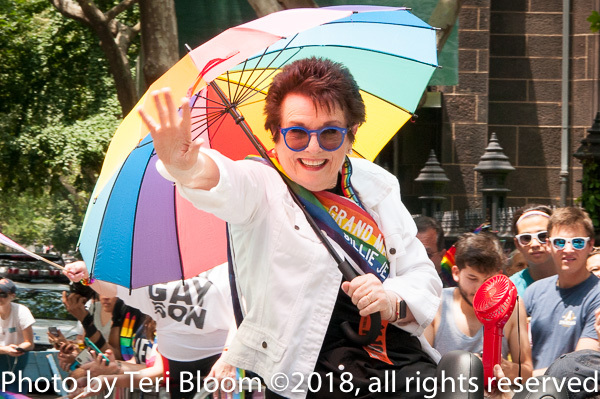 It was a rainbow party in NY City this year as many thousands marched, danced and waved to the crowds at the NYC Gay Pride Parade. Tennis legend Billy Jean King was one of the grand marshalls this year and I was happy to catch this shot of her as she went by. 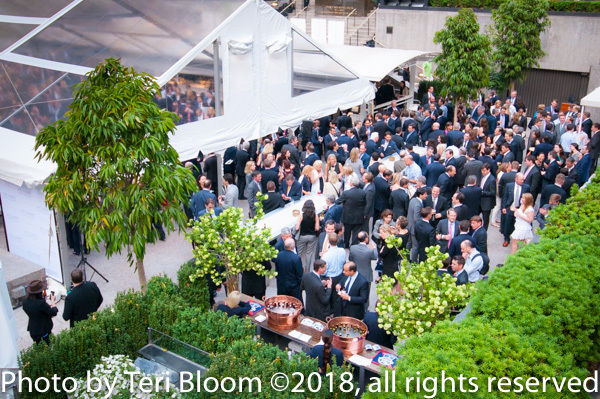 Special event photography in NYC is so much fun because whether the assignment is to be a photographer at a birthday party, corporate event or non-profit gala, people are always happy and this makes my job even more fun! 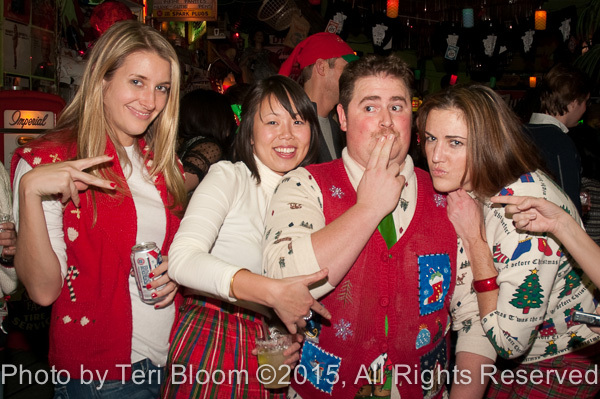 Corporate Party Photography, Merry Christmas NY City! Wishing everyone a great new year! 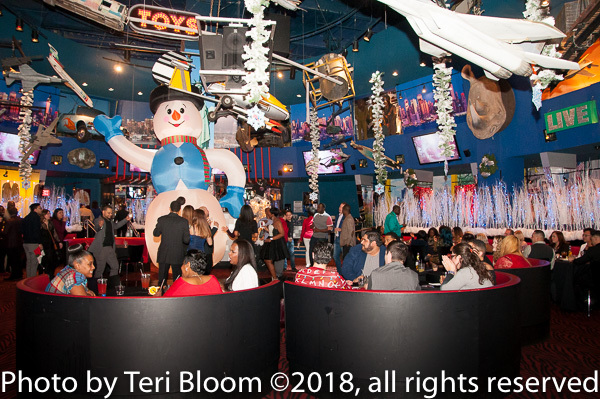 Had a fun evening shooting a corporate holiday party at NY City’s Planet Hollywood where they had the largest snowman I’ve ever seen! It was a fun evening enjoyed by all. For your next corporate meeting, special event or business conference, its never too late to hire the best NYC professional photographer you can find. A photojournalist with years of party photography experience is someone you can trust to do an amazing job. Summer in NY City can only be topped by one thing — taking a boat ride around Manhattan on a beautiful afternoon! As the boat departed Chelsea, we rode north up the Hudson River toward the Intrepid Museum, then as sunset approached we looped back downtown and toward the Brooklyn Bridge. It was a wonderfully successful corporate event and a terrific evening! Spring is around the corner and NY City’s special event planners are busy creating the season’s most memorable occasions. 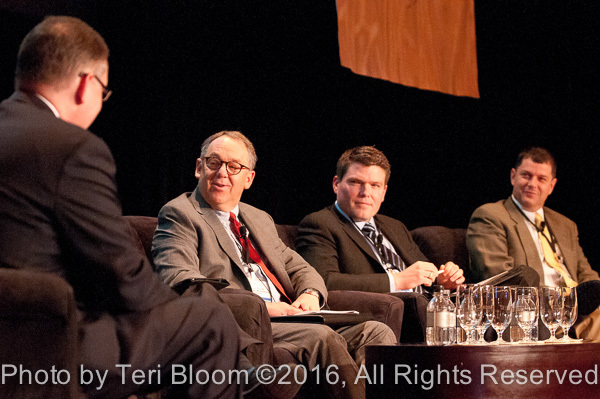 Planners know that working with experienced corporate photographer is important to an event’s overall success. There are a number of reasons to have professional photography coverage at your meeting, party or convention. First, the best professional NYC conference photographer will know what photos to get for social media and deliver them within 24 hours. Second, New York’s best professional photographers are reliable, show up early and bring back-up cameras if they are needed. And third, working with an experienced journalistic photographer will make you feel confident and assured that your very special event will be well remembered by all. With Halloween just behind us in NYC, thoughts are turning to Thanksgiving and the Christmas holiday season. Hence, now is the time to book a great NY City professional photographer to cover your company’s holiday or Christmas party. 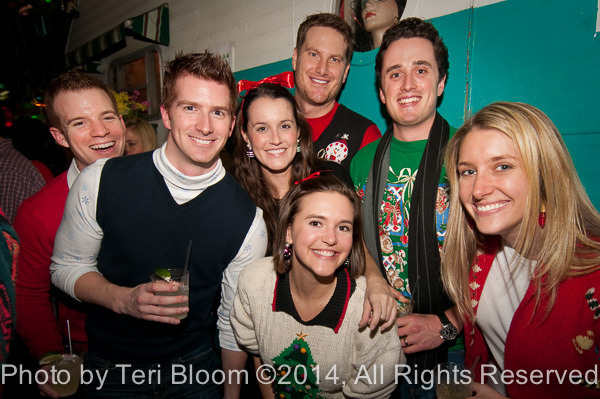 An experienced corporate event photographer like Teri would capture great memories for everyone to enjoy. Party and corporate event photography involves documenting the party decor and details, candid photos of the guest, toasts and of course fun shots of people relaxing and having a great time! The holidays are a special time of year and if you’re celebrating the season and need a photographer, please consider giving us a call! 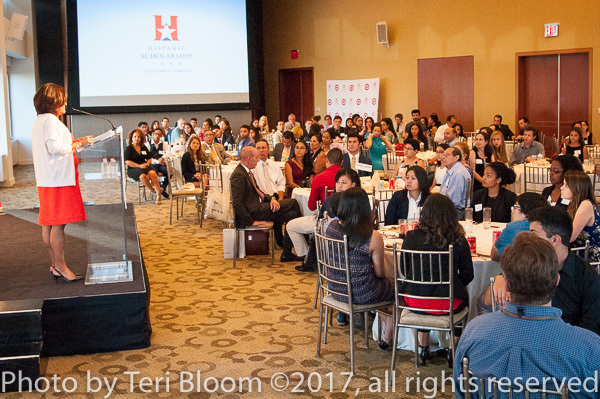 This photo was taken in NY City at a non-profit event celebrating outstanding scholarship students. The speakers inspired the audience with incredible stories of hard work and dues paid. There are so so many wonderful non-profits that celebrate their accomplishments and its always a honor for me as a special event photographer in NYC to document these events for publication and social media. Because NY City is home to so many international businesses, corporate financial conferences & meetings are held here daily. Usually the services of a professional photographer experienced in conference & meeting photography is hired. As a NYC photojournalist, I enjoy this type of special event photography because the photo coverage is journalistic and unposed. First I’ll shoot wide shots of the room to document the setting. Then cover a variety of wide angle shots of the panels, as well as close-ups of the individual speakers. Often there is a networking lunch or break-out sessions on specific topics, which is a great time for casual photos that often end up in social media. 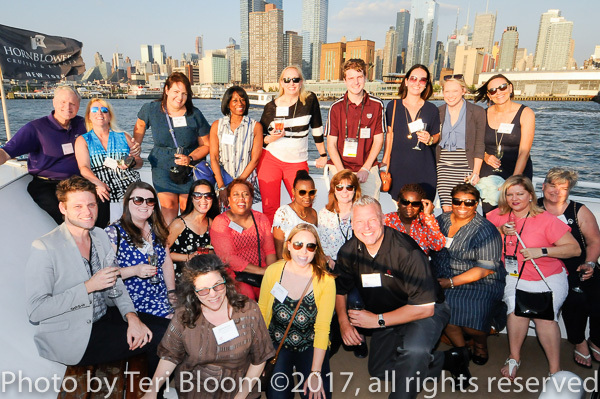 All corporate special events are a great networking opportunity for participants, often afford an expense-paid trip to New York City, and are a win-win for all participants who seek to learn more and become experts in their fields. It was STILL Halloween — yet the Gap and the Container Store had already transformed to Holiday & Christmas signage. A reminder that while its still late autumn, its not too soon to make plans for your corporate holiday party and hire a professional event photographer. One of the most fun and lively corporate holiday parties was hosted by a tech company here in NY City, with many of the employees competing to win “the tackiest Christmas sweater” of the evening. It was a great evening with lots of holiday cheer. Corporate meeting photographer at NYC business event. 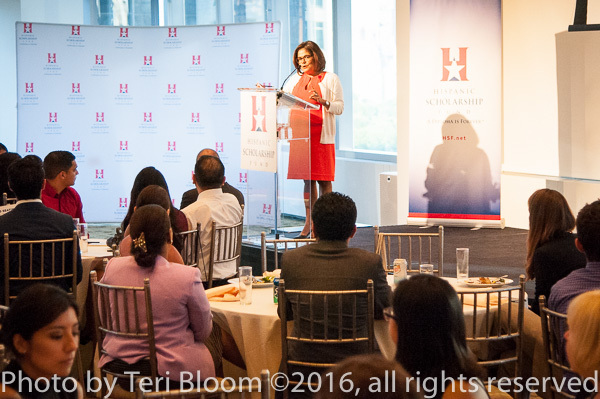 As women around the world climb the corporate ladder, there are many professional organizations hosting educational and networking events. These types of meetings are excellent opportunities to socialize in a professional environment, exchange business cards and share helpful tips. Business networking is important for all of us, as its a great way to keep abreast of industry trends, make contacts that might be useful down the road, and its always nice to meet new people anyway. 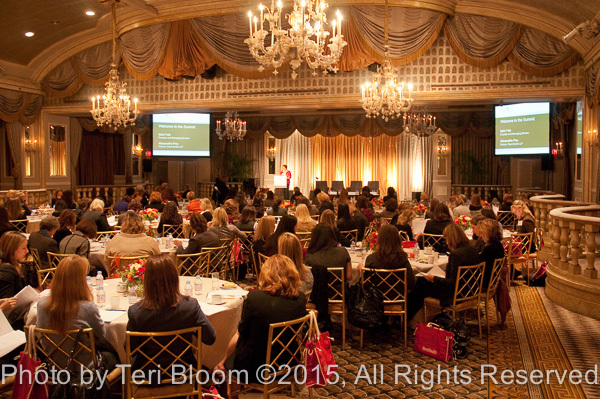 As a corporate business event photographer in NYC, I’m always inspired by the wonderful brilliant women that speak and attend these special events.